My favourite days of the year are these grace days between Christmas and New Year’s Eve. There’s a sense of slowing down, of breathing space, of clarity. 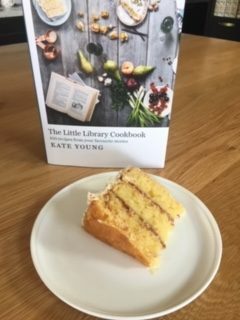 There’s time to bake a show-stopper of a dessert for three hours or there’s fifteen minutes to rustle up something for dinner using leftovers. There’s time to watch the cricket or play it in the backyard. There’s definitely time to read a book for more than twenty minutes. There’s time to be really present with family and friends, to ask about plans and dreams for next year, and there’s time to play with the kids and let them make a big mess because there’s time to clean it up. I find that because my mind isn’t filled with excursion notices and basketball training and how-can-we-run-out-of-milk again, that there’s more space to plan and dream. It’s more than just relaxing – it’s reminding myself of what’s really important and how I can make space for that. It’s so lovely to have no plans or obligations – just spontaneous bike rides with the kids, walks with our newish puppy, reading on the couch (in the middle of the day! ), watching the cricket, drinking my new literary tea (thanks, KK!) and maybe trying out a recipe or two from my new cookbook. Wishing you lots of time for your passions and dreams, and your family and friends over these grace days. Thank you for reading my blog this year. I hope you had a lovely Christmas and that 2019 is wonderful for you! I’m taking a break from blogging for a few weeks – see you soon! I’m running some more writing workshops for kids in the school holidays. This time we’re looking at developing fabulous story worlds and creating interesting characters. The workshops are for 8-12 year-old children. I’m so passionate about encouraging kids to both express themselves creatively and to communicate with purpose. In these workshops, young writers will learn how to write with passion, using art and games to spark ideas. Cost for each workshop is $50. Payment must be made by Friday 11th January. Younger readers are usually five to eight-year-olds – an exciting age where chapter books become a rite of passage. Of course, there are still five-year-olds who are mastering their sounds and at the other end of the spectrum, there are eight-year-olds who have already read the first Harry Potter novel. The following list of titles are wonderful stand-alone books. These books are probably more for 8-10 year-old readers, but can be enjoyed as a story to listen to first, then as a book to read alone. Brindabella by Ursula Dubosarsky – this is a truly beautiful story about a boy Pender who finds a young joey in her dead mother’s pouch. Most of the story is told from Pender’s perspective but there are a few chapters from the joey Brindabella’s point of view. It would be a lovely story to read in class or at bedtime – I can’t imagine too many children who wouldn’t enjoy listening to a story about a kangaroo who is torn between the boy who loves her and her freedom in the bush. There are also gorgeous illustrations by Andrew Joyner. 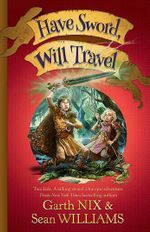 Have sword, will travel by Garth Nix and Sean Williams – Odo has never intended to have any adventures, even though his best friend, Eleanor, would like some. But when Odo pulls a talking sword out from the dried-up riverbed, he and Eleanor begin a quest to find and slay the dragon responsible for drying up their river. This is a classic quest story with lots of humour – and a great title! There’s a sequel available now. Flora and Ulysses by Kate diCamillo – this is a graphic novel with words by Kate DiCamillo and comic-book style illustrations by K. G. Campbell. Flora’s parents are separated, there’s an odd but intriguing boy who’s moved in next door with his aunt and there’s a squirrel who writes poetry. This book is about the loss of hope and finding it again – and this sensitive subject is told with heaps of humour by eccentric characters. I’m definitely going to read this one with Mr 9 these holidays. Bob by Wendy Mass and Rebecca Stead – Livy (ten and a half) has come back with her mother and baby sister from Massachusetts to visit Gran in Australia. Livy knows she’s forgotten things since her last visit five years ago. She certainly can’t remember the name of the green zombie (who’s not really a zombie) who’s wearing a chicken suit, lives in a closet and has been waiting for her to come back for the last five years. Livy tries to help Bob find a way back home by remembering how he saved her, and then how she saved him. 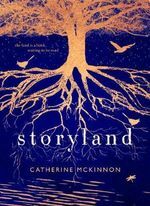 The story is fresh and original – it’s a quest book and there’s magic but there’s nothing predictable about it. There are themes of friendship and memory, and a small thread of rain and droughts. Many kids in this age group love series because it feels like such an accomplishment to have read some or all of the series, because it’s fun to compare notes with friends and because it’s fun to look forward to the next book. Happy Christmas shopping and reading! Our Advent calendar is a white wooden frame with twenty-four little doors, each with a different Christmas picture on it. It’s about ten years old now, and some of the doors are a little wonky. I created a collection of shipping tags with a Christmas stamp and a suggestion of something Christmasy to do. The kids take it in turns to open it. If it’s your day to open the Advent calendar, it’s also your day to light the Advent candle – thank goodness the 24 days before Christmas are divisible by three! Some days the tag tells us to make Christmas cards or decorate the gingerbread house or bake shortbread biscuits. Occasionally there’s three chocolates in there. Sometimes, the tag reminds us to be kind to someone! Today I had planned to put in the tag with the suggestion that we could read a Christmas book – BUT – I can’t find our collection of books! You would think that a big tub of books would be fairly easy to find. I’m hoping that my husband – when he’s back from an interstate trip – will be able to rummage more thoroughly and successfully in the attic space than I did. So here’s a post from a couple of years ago about Christmas books for kids of all ages. The fourth king, the story of the other wise man, written and illustrated by Ted Sieger – the other king, King Mazzel, lives in a tiny kingdom with only his camel, Chamberlain, to keep him company. He has been watching the stars for a sign, so he would know when the King of Kings was born. Finally, he sees the star, and leaves to meet up with the other kings so he can travel to Bethlehem with them. Except that along the way, there are many people and children who need his help. King Mazzel is deeply disappointed that he did not meet the baby King. However, he hears a voice speaking, ‘”King Mazzel, you have not come too late! You were always with me. When I was lost, you showed me the way. When I was thirsty, you gave me water. When I was captive, you freed me. When I was in danger, you saved me. You were always there when I needed you, and I will be with you for ever. '” This is a lovely picture book for 4-8 year-old kids, with two fun foldout pages in the middle of the story. Little dog and the Christmas wish, written by Corinne Fenton, illustrated by Robin Cowcher – This story is simple and sweet, about a lost dog looking for his Jonathan in the rain. The illustrations showcase Melbourne’s city streets – you’ll recognise lots of landmarks. A great read for kids aged 2-6. 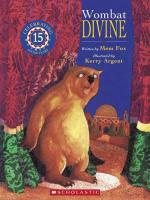 Wombat Divine, written by Mem Fox, illustrated by Kerry Argent – one of my favourites, which I have read to my kids since they were two. Wombat is that childlike character, who desperately wants to be part of the nativity play. But he is just wrong for all the various parts. ‘”Cheer up, Wombat! Don’t lose heart. Why not try for a different part?”‘ But there are no parts left. Luckily, one of the other animals remembers they still need someone for the role of baby Jesus. This is a gorgeous picture book for 2-6 year-olds, reminding them never to give up, and that there is room for everyone. The Polar Express, written and illustrated by Chris Van Allsburg – the film for this book is almost mandatory watching during December for our family. The film may be a little scary for some children but the book doesn’t have any scary scenes. The story centres around a little boy who believes in Santa and goes on a magical train ride to the North Pole. He is chosen by Santa to choose the first Christmas gift – ‘I knew that I could have any gift I could imagine. But the one thing I wanted most for Christmas was not inside Santa’s giant bag. What I wanted more than anything was one silver bell from Santa’s sleigh.’ Beautifully illustrated picture book for 2-6 year-olds. Applesauce and the Christmas miracle, written by Glenda Millard and illustrated by Stephen Michael King – one of my favourite author/illustrator combinations. This is a modern, Australian take on the traditional Christmas story, seen through Applesauce the pig’s perspective. Love the language – ‘night fell as dark as burnt toast … her heart felt as small as a gumnut … dry creek-beds, burnt bushland and fenceless paddocks … that orange summer evening, tiger-striped with blackened trees’. Applesauce does not feel very Christmasy as she is still mourning her home which was burnt in a bushfire. She is feeling sad that her owners, Joe and Marigold, will not receive any gifts. But as a wise owl reminds her, ‘Christmas comes from the heart’. Lovely and relevant picture book for all Australian kids, aged 2-6. The night before Christmas, written by Clement C. Moore, illustrated by Eric Puybaret, performed by Peter, Paul and Mary – the traditional poem, with gorgeous, gorgeous illustrations. There’s a CD, with Mary from Peter, Paul and Mary, reciting the poem. Wonderful, timeless classic! Perfect for kids aged 2-6 – and probably older as well. Room for a little one, written by Martin Waddell, illustrated by Jason Cockcroft – this is a beautiful pairing of author and illustrator with lovely language and dreamy pictures. It’s the story of animals seeking shelter in a stable on the night Jesus is born. ‘”Come inside,” Kind Ox said. “There’s always room for a little one here.”‘ The book’s theme has become family vocabulary for us – whenever we are squashed together on a couch or around a table, we manage to squash up some more for another kid to fit, saying ‘There’s always room for a little one!’ Problem is, soon I will be the little one in our family – I am predicting I will be the shortest in our family within five years! Lovely picture book for 2-6 year-olds. Slinky Malinki’s Christmas crackers, written and illustrated by Lynley Dodd – if your children are fans of Hairy McClary, they will enjoy this picture book where Slinki Malinki gets into all sorts of trouble around the Christmas tree – ‘Glimmering, shimmering, brilliantly bright, the tree was a truly MAGNIFICENT sight. But …’ Lynley Dodd uses language and rhythm in such a way that it extends kids’ vocabulary by introducing sophisticated words in wonderful word patterns. A funny book for 2-6 year-olds. Father and Son, written by Geraldine McCaughrean, illustrated by Fabian Negrin – this book holds such a beautiful concept. It is a picture book but it is ageless, and I imagine many young kids won’t understand it. Definitely one to read together and discuss. The story is Joseph’s reflection on how best to be a father to Jesus. Here’s an example of Joseph’s thinking – ‘What stories can I tell him? He wrote the whole history of the world.’ Or ‘what games shall we play, boy, you and I? I mean, how can you rough-and-tumble with someone who pinned the ocean in place with a single, tack-headed moon?’ Even though this is a Christmas book, it would make a lovely gift for a new dad. I hope you and your kids are enjoying some Christmas stories at this time. Which Christmas book is your favourite? December is very demanding, isn’t it? It seems that my three kids at three different schools have more break-up parties, Christmas concerts, end of year assemblies than I can attend. There’s also five family birthdays to celebrate – my husband and Mr 14, almost 15 – included. I find it hard to fit in all the Christmas things that are meaningful to me, among the Christmas things that seem to take priority. And it’s not that any of those concerts or gatherings are terrible – it’s just that the combination of extroversion and commercialism can be a little exhausting. watch at least one Christmas movie with the kids. spend a day baking, then spend a night with two close friends to wrap our baked goods and create hampers for teachers and neighbours – this is one of my favourite Christmas things to do. buy at least 90% of my presents in November – I can’t stand the idea of going into a shopping centre in December. make something, if not a few things. Last year, I sewed Christmas stockings in linen with red and white trimmings. This year, I’m going to sew some linen stars – yes, notice the traditional French theme going on! Crafting gives my hands something to do, while my mind slows down and stops racing. take the kids for a walk or drive along the streets that participate in Christmas lights. make peppermint bark with the kids – we always make extra and there is still never enough to go around! celebrate the December birthdays at two different gatherings. decorate the tree together – we try to wait until the December birthdays are over. decorate a gingerbread house – I shut my eyes and try to ignore all the lollies. celebrate Christmas Day with a meal with both families. open our Advent calendar each day. We have a tradition of mainly notes with only the odd toy or chocolate. Every day, a note tells the kids what Christmas festivity we are going to do that day – as elaborate as decorating the gingerbread house or as simple as showing kindness to someone. It has taken me a few years to hone this art, and to me, this is one of the most important things we do in December to focus on Christmas our way with creativity and connection. buy a new Christmas book – we do have quite the collection now! And everything else is extra. We’ll go to most of the Christmas gatherings we’re invited to, but it’s not possible to go to all of them. We’ll stay up later some nights but I will tuck myself in bed early as often as I can. There’ll be a little more chocolate and champagne than usual but we’ll have more salad and summer fruit as well. There’ll be more money spent than at any other time of the year, but we’ll donate to a charity or two and will do our best not to give in to the general sense of consumerism by avoiding the shops. And what’s on your non-negotiable list for Christmas? Young adult fiction is strong in Australia right now, with adults as well as teenagers reading it. It’s a loose term and applies to the age group of 12-20 year-olds, rather than any genre. Within young adult fiction, there’s romance, crime, mystery, historical fiction and so on. It’s always a good idea to find out the age of the main character – that will give you a clue as to the appropriate age group if you’re choosing books for younger readers. Kids are aspirational readers and like to read about characters who are a year or two older than themselves. So a fourteen-year-old might be interested in a sixteen-year-old character but a book with an eighteen-year-old character might not be suitable for a thirteen-year-old. These are such loose guidelines – every book is unique! Here’s a list of my favourite young adult books which I read this year. I am out with lanterns by Emily Gale – This book is told from seven different perspectives, which means that readers understand someone like Ben, who appears rather nasty to Wren, because we see his point of view and know what’s going on in his life. Most of the characters are about to start year 10. It’s the story of – Adie, who’s moved back to a home she lived in as a kid – Wren, a talented artist who likes both girls and boys – Milo, an autistic teenager who thinks he loves Wren – Sophie, Milo’s younger sister who gets caught up in a horrible online situation – Juliet, who can remember everything that ever happened to her and anyone she knows – Hari, who also loves Wren and Ben, whose bullying tactics hide his far-from-perfect home life. I loved all the characters and felt it was so fresh, so contemporary. I hope Mr 14 will end up reading it. 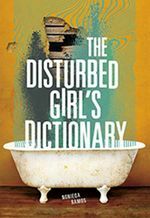 The disturbed girls’ dictionary by Nonieqa Ramos – this book definitely deserves a blog post on its own, because yes, it is a disturbing read. I don’t think we – or our teenager readers – should shy away from reading something disturbing. This book transported me away to fifteen-year-old Macy’s life, where she lives with her mother in a small, one-bedroom apartment. She used to live there with her dad and younger brother but her dad’s now in prison and her brother was taken away by child protection services. Macy wants her mum to get a job instead of entertaining numerous men so that her brother can come back. But at least they’re not living in a car any more. Macy’s best friend, Alma, is becoming more distant and is trying to move away from her life of looking after her numerous younger siblings. Written in the form of dictionary definitions, Macy’s voice is strong, offensive, unapologetic and full of swearing. The front cover of the book has a picture of an old, rusty bath – to represent Macy’s bed when her mother’s ‘guests’ sleep over. A compelling and different read for fourteen-year-olds and up. Catching Teller crow by Ambelin Kwaymullina and Ezekiel Kwaymullina – this is an exciting book, published this year about ‘the enduring strength of Aboriginal women and girls’ (quote taken from the writers’ notes at the back of the book). Beth Teller, fifteen, is dead, but she’s not reunited with her Aboriginal mother who died a long time ago. Instead, she and her white Australian dad can still communicate. Her dad’s a detective and Beth is trying to help him solve a case so she can ease him away from his sadness over her death. The story is told from Beth’s point of view as well as Isobel Catching’s – she has a connection to the case that Beth and her dad are trying to understand. The writers explain that ‘we are Aboriginal storytellers, but we are two voices amongst the many Aboriginal peoples and nations of Australia and we speak for ourselves alone; there is not a single Aboriginal story, nor a definitive Aboriginal experience.’ I’m going to pass this on to Miss 12 to read – it’s a great book for 12-15 year-olds. 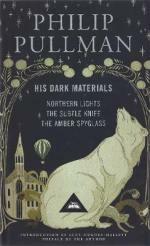 His dark materials by Phillip Pullman – The first book of the trilogy, Northern Lights, introduces us to Lyra, a young orphan girl who lives with the Scholars in an alternative Oxford. Lyra is given a special instrument called an alethiometer which uses layers of symbols to tell the truth. The Master of Oxford tells Lyra to learn how to read it for herself once she has been taken to live and work with Mrs Coulter, a fascinatingly beautiful woman. But Mrs Coulter proves to be as confusing and sinister as she is beautiful, and Lyra escapes when she realises she might end up as one of the kidnapped children who have been taken from Oxford. Lyra’s quest to understand the alethiometer and to find her friends Roger and Billy who have been kidnapped by the Oblation Board brings her into contact with the gyptians, who support her. Younger teen readers will enjoy it, and it’s also suitable for 11 and 12 year-olds but it’s a thick trilogy and quite intense. I loved it! There is action, a quest theme, high stakes, the continual problem of who to trust and an amazing fantasy world with witches, talking bears, angels, humans and their daemons. You can read a longer review here. 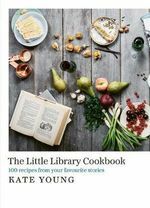 Begin, end, begin – a #Love Ya anthology edited by Danielle Binks – some of my favourite authors have contributed to this anthology – Ellie Marney, Melissa Keill, Jaclyn Moriarty and seven other Australian young adult authors. An anthology could be a great way to tempt reluctant teens into reading again – just one short story, that’s all you have to read! It’s also a good way to find new authors through their short stories. There’s a mix of stories told from the point of view of girls and boys. My only complaint is that the cover is more directed to girls with its floral theme. There’s a new edition coming out next month – perhaps that one will have a more appealing cover for boys? This book is young adult fiction at its best – smart, sassy, perceptive. The road to winter by Mark Smith – this book is the story of Finn, whose community has been wiped out by a deadly flu which killed his parents. He’s managed to survive for two winters alone on the coast, keeping out of sight from the Wilders. Everything changes when he sees Rose on the beach – she needs help. I found this book gripping and I’m looking forward to reading the sequel. 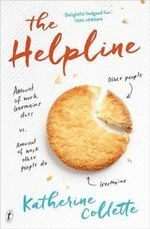 This would be a great book for 13-16 year-old readers. Other wonderful YA authors include Ellie Marney (her Circus Hearts is out now and is on my list of books to read), Melissa Keill (I loved The incredible adventures of Cinnamon Girl), Jaclyn Moriarty (also the author of the middle grade book, The inconvenient adventures of Bronte Mettlestone) and Cath Crowley (I loved her Graffiti moon and Words in deep blue). And the winner from last week’s giveaway is – JANE! Congratulations, Jane – I’ll be in touch to deliver your book! Thanks to everyone who left a comment. I’ve read many fabulous middle-grade books for 8-12 year-olds this year. This list might help you to choose some books for a Christmas stocking. Of course, some eight-year-olds may read these books on their own and others will need to read them with an adult. And some of these books may be too young for a mature 12-year-old. But all of these books are well-written with fabulous plots and interesting characters. One dog and his boy by Eva Ibbotson – if you have a dog-loving reader in your home, they’ll love this book. Hal has always wanted a dog but his parents don’t want one – imagine the ruined carpets! Eventually, Hal’s dad rents him a dog for the weekend, assuming Hal will have lost interest by the time the dog needs to be returned. But Hal is devastated when he finds out Fleck the terrier is only his for the weekend, and his only choice is to run away with Fleck, followed by the rest of the dogs in the Easy Pets rental agency. This is a story with lots of action and lots of heart. We borrowed it from the library but I’m tempted to buy our own copy because I know it would be reread. Bob by Wendy Mass and Rebecca Stead – this story about an alien who waits for years in a cupboard in an Australian country house for his friend Liv to return from America, is heartwarming and quirky. Rebecca Stead is one of my favourite, favourite writers and her collaboration with Wendy Mass is a winner. It’s perfect for 8-11 year-olds. You can read a longer review here. Figgy in the world by Tamsin Janu – while this story had a slow start, it did become a page-turner as I wanted to read on to find out whether Figgy, an orphan in Africa, could find her way to America to buy medicine for her sick grandmother. Figgy, while innocent of the ways of the world, is resourceful, hard-working and utterly likeable. Miss 12 studied this book in class – there are themes of resilience, geography and working out what type of people can be trusted. It is a slim enough, and simple enough story that 8-10 year-olds could enjoy on their own. The three doors trilogy by Emily Rodda – a fantasy trilogy for 11-13 year-olds, these books follow the adventures of Rye and Sonia. After Rye’s village has been threatened by skimmers, large birds who destroy and kill, the young men of the village are invited on a quest to venture through one of the three doors to find a way to stop the skimmers. In true quest fashion, Rye’s two older brothers, one by one, leave but never come back. Rye is determined to find out what happened to his brothers, and Sonia, who has her own reasons to hunt the skimmers, joins him. I read these books one after the other, eager to find out the overarching story behind each of the three doors. This is a more sophisticated read for older middle-grade readers. Louisanna’s way home by Kate di Camillo – for those fans of Kate di Camillo – author of Because of Winn Dixie, Flora and Ulysses, Raymie Nightingale and other titles – Louisanna’s way home follows Louisanna Elefante, Raymie’s friend. Louisiana has a strong voice, a distinct way of thinking and a problem because her Granny wakes her up in the middle of the night to drive across the state in order to break the curse of their family. This is a beautiful, tender book for thoughtful, perceptive readers. It’s currently available in hardback and my copy came with a matching bookmark. Wundersmith by Jessica Townsend – this is the highly-anticipated sequel for Nevermoor, the book many critics claimed to be the next Harry Potter. I wasn’t disappointed – I read this thick doorstopper of a book in a day. I’d suggest reading Nevermoor first, so you can understand how Morrigan Crow, a cursed child, became the protege of the elusive and quirky Jupiter North and how she made her way through the trials to enter the revered Wundrous Society. Wundersmith continues with Morrigan looking forward to her education within the Wundrous Society but its limited curriculum, her group’s fear of her and the people who go missing in Nevermoor mean all is not what it seems. 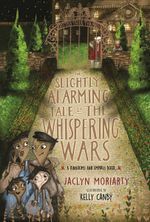 The slightly alarming tale of the whispering wars by Jaclyn Moriarty – I haven’t read this one yet but I certainly will because I loved the first book, The extremely inconvenient adventures of Bronte Mettlestone and reviewed it here. As far as I can tell, there are a different set of characters but it’s still set in the same fantasy world. I really love reading books where the characters are so solid and real that it doesn’t matter how many pirates or water sprites turn up, the story just rings true. The main action of the whispering wars – alluded to in the first book – takes place between the orphanage school and the boarding school. There are stolen children to be rescued, witches and sirens to be dealt with and the darkness to be fought against. I may be fighting Miss 12 for the privilege of reading this book first! 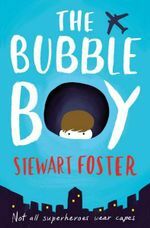 The bubble boy by Stewart Foster – Joe is eleven and has spent all his life in his London hospital room. His only family is his older sister, Beth, who is studying to be a doctor and sees him as much as her studies allow her. His only friend – apart from the hospital staff – is Henry, a boy in Philadelphia who has the same rare condition as Joe which means they can’t go outside. To venture outside could mean death. Although Joe’s world is small, Joe is a large character. His acute observations, his courage and his positive attitude all make for a wonderfully interesting character in a unique book. The war that saved my life by Kimberly Brubaker Bradley – Miss 12 suggested I read this book and its sequel, The war I finally won, because she claimed I would just love them and as usual, she was right. These two historical novels are set in the second world war in England in 1939. Ada has a club foot, a horrible mother and begins a new life when she and her brother are evacuated to the country. You can read a longer review here. Have sword, will travel by Garth Nix and Sean Williams – Odo and Eleanor stumble on an ancient sword in a dry riverbed and Odo is immediately knighted by the talking sword. And as the title says, once you have a sword, you’re expected to save the day. Odo and Eleanor set off on a quest to fight the dragon who is drying up the rivers. Odo is reluctant, Eleanor excited. I really enjoyed this quest story for younger middle-grade readers because it followed quest traditions with a light touch and lots of humour. Happy Christmas shopping! Let me know if I’ve missed any other wonderful middle-grade books.